﻿ Thyroid Thoughts: Are Grains Bad For Us? Thyroid Thoughts: Are Grains Bad For Us? 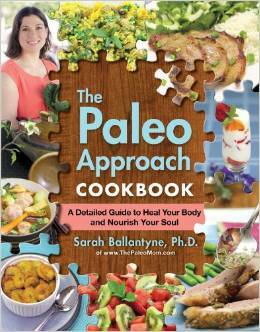 Before committing to paleolithic nutrition, I read a whole lot about it. I read scientific journal articles, books, and some great blogs. 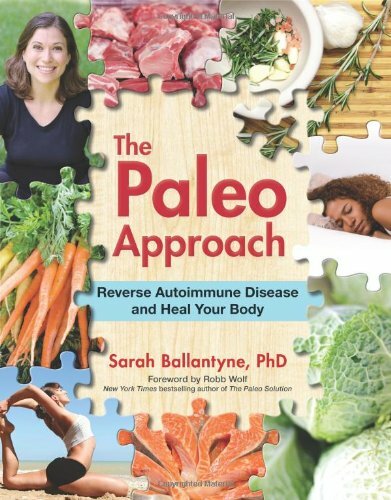 As I delved deeper and deeper into the reasons why paleolithic nutrition is so remarkably healthful, I found myself learning the detailed physiology and biochemistry behind many aspects of this diet. Although you don’t need to go into as much detail as I have, much of this information is relevant to you and will help inform your choices as you continue to experiment with a paleolithic lifestyle. I will try to distill the most salient points for you. First, up: Why are grains bad for you? Grains have a particularly high concentration of two types of lectin. Lectins are a class of proteins (of which gluten is one) that are present in all plant life to some degree. Two sub-classes of lectins, prolamins (like gluten) and agglutinins (like wheat germ agglutinin) are of particular concern for human health. These lectins are part of a plant’s natural protective mechanism (from predators and pests) and are usually concentrated in the seeds of the plant (which is why grains and legumes have so much). So what happens when we eat these proteins? Similar to what occurs in individuals with celiac disease (basically, a super exaggerated form of the sensitivity we all have to gluten and other lectins), these lectins can either damage and kill the cells that line your intestines or directly causes spaces to open up between your gut cells. This causes little holes in your intestines; so, things that are not supposed to get into your blood stream leak out. This “leak” is made worse by the fact that lectins bind to sugars and other molecules in the gut and then “help” these random other molecule leak into the blood stream. There are many things in your gut (like E. coli) that are supposed to stay there; and, when they leak into the blood stream, they cause a low level of systemic inflammation. This can set the stage for many health conditions, including cardiovascular and auto-immune diseases. There are many lectins and some are more harmful than others. Gluten is by far the most damaging lectin, but non-gluten containing grains still contain lectins. Wheat germ agglutinin is a very close second in terms of negative impacts on health (it has the added effect of stimulating inflammation), which is why the simple act of removing wheat from your diet a la Wheat Belly by Dr. William Davis can make such a difference to people’s health. And while some of the other “blacklisted” foods are okay for occasional consumption (like dairy, beans and rice), I suggest a lifelong dedication to gluten and wheat avoidance. It can take up to six months for your gut to fully heal after a single gluten exposure (see How Long Does it Take the Gut to Repair after Gluten Exposure?). Beyond the fact that some lectins are more problematic than others, dose is another important factor here. The vegetables and fruits that our prehistoric ancestors ate in large quantities are generally very low in lectins (and typically contain lectins that interact much less strongly with the gut barrier than those in grains). 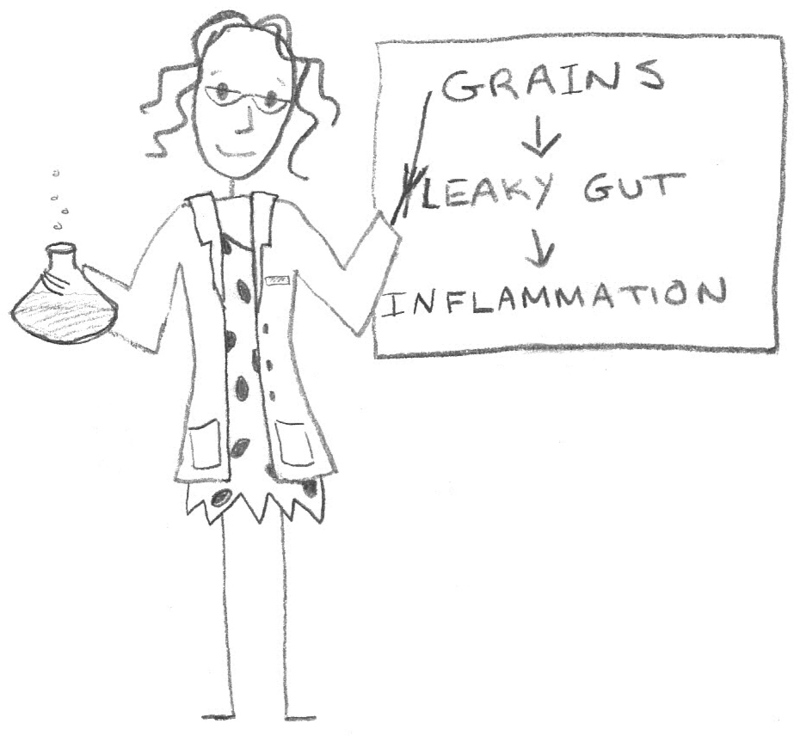 Grains (especially wheat) and legumes (especially soy) are very high in prolamins and agglutinins, the two sub-classes of lectins with the greatest negative impact on the barrier function of the gut (where the gut is supposed to selectively allow digested nutrients from our foods into our body and keep out everything else). And, if damaging your gut lining and causing systemic inflammation isn’t enough, lectins are also anti-nutrients, which means that they stop you from absorbing many of the vitamins and minerals in your food (like calcium!). On top of all this, grains are highly acidic foods (at the level of your kidneys, not your stomach). Another aspect of paleolithic nutrition is to balance your intake of acidic and alkaline foods (I will expound on acid-base balance in a future post). Generally, meat, eggs and fish are acidic and we balance this with lots of vegetables and some fruit, which are alkaline. When grains are in our diet, it is nearly impossible to eat enough alkaline foods to balance this out and the result is strain on the kidneys, liver and pancreas. If all this just whets your appetite for more detailed information, I suggest starting with Dr. Loren Cordain’s website ThePaleoDiet.com and The Paleo Answer. Sarah Ballantyne, Ph.D., (a.k.a. The Paleo Mom) is the blogger behind the award-winning blog ThePaleoMom.com, co-host of the top-rated and syndicated The Paleo View podcast, and author of two best-selling books The Paleo Approach and The Paleo Approach Cookbook. She earned her doctorate degree in medical biophysics at the age of 26. She spent the next four years doing research on innate immunity and inflammation before becoming a stay-at-home mom. After her second daughter was born, she began to experiment with the Paleo lifestyle. It had an amazing effect on her health. Over time, she healed herself of a long laundry list of physical complaints including irritable bowel syndrome, allergies, and the autoimmune disorder, Lichen Planus, an inflammatory skin condition. 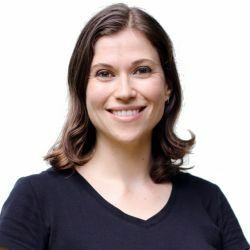 Her passion for providing straightforward explanations of the science behind her diet and lifestyle recommendations for managing autoimmune disease, plus her love of food and cooking, form the foundations of The Paleo Approach. Follow her on Facebook, here. Questions or anything to ask Sarah about grains? We want your thoughts in the comments section–Please! I agree with everything you said and I would just add that everyone react diffrently to grains. I don’t get the leaky gut thing… I mean, this comment about stuff getting into your bloodstream, and she mentions E coli too??? Seriously, if that were the case we’d be in much more serious trouble than a leaky gut. Like possible death within hours. I had SEPSIS last year from a kidney infection because E coli got into my bloodstream for real. (Fortunately early sepsis without organ dysfunction.) And if E coli was getting into people’s bloodstreams from a leaky gut, we’d have a lot of people dying very quickly from sepsis. They wouldn’t have time to develop autoimmunity. So while I won’t say that there isn’t something to this, something about Sarah’s statement just kinda rubs me wrong. You don’t just go around casually talking about E coli in one’s blood stream. Sorry.